People in the music industry tend to live hard. They don’t sleep a lot. They don’t have great food choices on the road. Alcohol and drugs are constant temptations. And who has time to see a doctor? “We [were] so tired of just throwing benefit concerts for fellow musicians who got really sick,” said Russ Gusetti, who co-chairs Tune In & Tune Up with Don “DC” Culp, of the birth of their initiative. 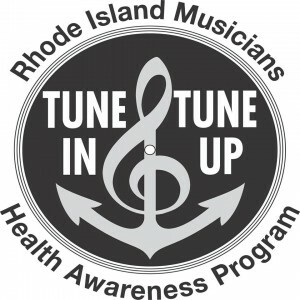 And then Gusetti and Culp encourage those tuned in people to tune up. Gusetti explains, “We’re trying to say, ‘Guys, take care of yourself. Do what you can before something bad happens. Lose weight, stop smoking, don’t eat crappy food, be aware of how dangerous opioids are. And get a physical for goodness’ sake! '” Gusetti believes that being proactive about healthcare is key. And to make it fun, happening concurrently with the fair will be The Unity Concert, where RIMHOF inductees and local musicians will perform, including The Rock’n Docs, a local band made entirely of doctors.